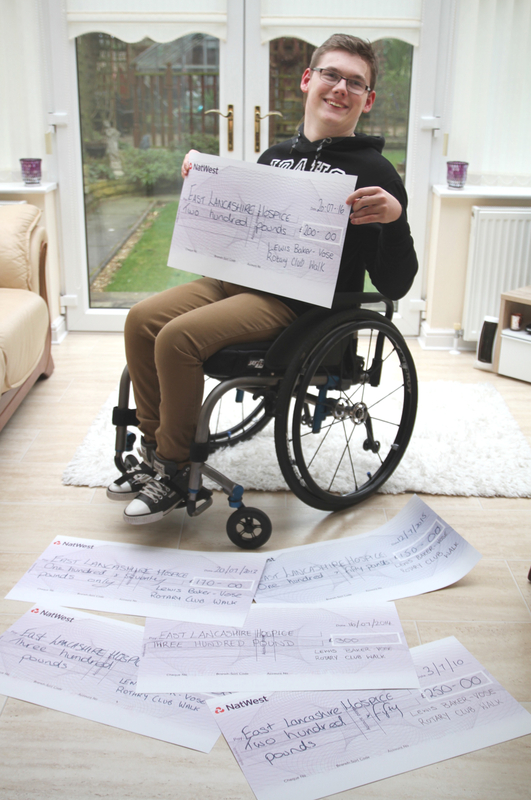 A disabled teenager has raised over £1,170 for East Lancashire Hospice – and has the cheques to prove it. Despite being in a wheelchair, Lewis Baker-Vose, who recently turned 20, has taken part in six 10K charity challenges in memory of his Nana Ruth. Rotary Club of Church and Oswaldtwistle. Lewis, who has cerebral palsy, hopes to take part in this year’s event and add to his fundraising total. 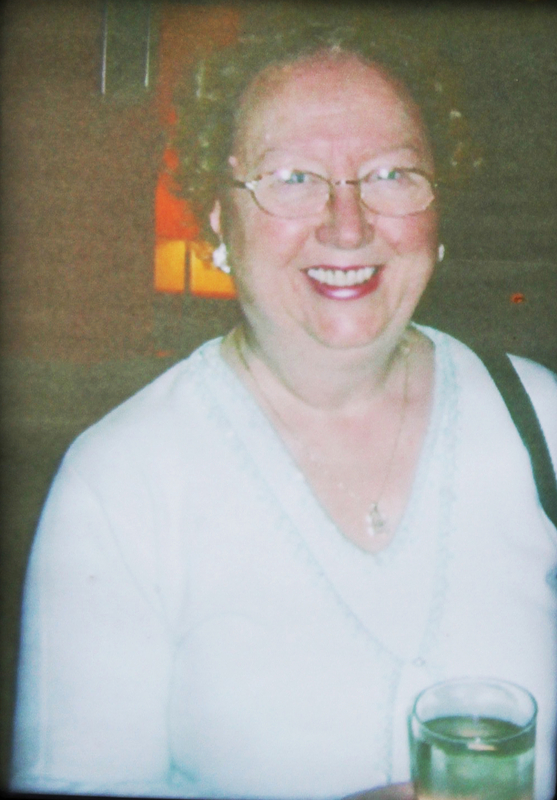 His Nana Ruth suffered from breast and lung cancer, and attended day therapy sessions at the hospice in Park Lee Road, Blackburn before her death in 2008. Mum Sharon Baker Vose said: “Lewis was so close to my mum. When she was diagnosed with breast cancer she went to the day centre once a week for day therapy - that was her highlight of the week. She looked forward to it. “When she died, Lewis said he wanted to do something for the hospice. He knew how much she enjoyed it there. She got a lot of support and met a lot of people. It’s not just about people at the end of their life, the hospice supports people along the journey. Lewis, of Highfield Close, Oswaldtwistle, was the first disabled person to take part in the walk - and has even started the walk off a few times. In 2011 Lewis took part in the event – and even walked across the finish line. The inpirational teenager has also switched the lights on for the annual Light Up A Life Service at Blackburn Cathedral, and helped to run a stall at the hospice Christmas fair. He said: “My Nana died in 2008 and I always remember all the happy times she had at the hospice and the staff she met there. I’m really thankful to them. Sharon Crymble, Fundraising manager, first met Lewis when he was just 12. She said: “I first got to know Lewis several years ago when he first started to raise funds in memory of his grandma. “I don’t think there was a dry eye in the house the first year he got out of his wheelchair to walk across the finishing line – it was truly a touching moment from an inspirational young man. “Not only does he fundraise to help us to raise money to care for our patients but he gives his time freely to help too, and he always does this with a huge smile on his face.